How many times have you wanted a different kind of holiday? This desire to escape can be made easily and above all bring us to places closer to us. In Italy there are thousands of places, unknown itineraries and other places that you’ve probably already seen but can be seen yet again from another perspective. On www.charminly.com, regions and villages in Italy are displayed in a new light, and stand out from the usual tourist destinations. 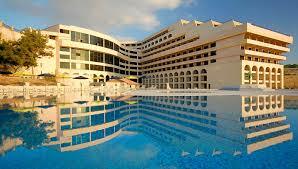 On the website you expect a world of charm for organizing your holidays in structures of excellent quality. Hospitality is at the heart of these wonderful facilities, one of exquisite quality which is evident by the welcome and warmth. The peculiarity of these places comes from combining traditional buildings which are surrounded by nature, with all the amenities one could wish for in the modern age. The Country House Hotel offers spacious luxurious rooms, sometimes with frescoes, with breath taking views of valleys and lakes and an abundance of spas, large gardens for guests, banquet and ceremonies. The charming agritourism are often made from old farmhouses, villas, mills, restored to maintain the characteristics of the original structure, the beams, fireplaces, wood floors. Much space is given to the animals and the production of food. The charming Bed & Breakfasts are real houses adapted to accommodate guests with warmth, and give them an environment in which to relax and feel really at home. The B & B or agritourism, rather than building a new one, restores an existing building in order to obtain a hotel, it is not just a stylistic choice, because it means having a facility already perfectly integrated into the surrounding environment. It also entails collecting and keeping alive history and traditions and also respecting the environment and nature. All Charming facilities are characterized by the attention of the owners to individual guests, so they always have a limited number of rooms compared to the common tourist facilities. What is also amazing is the attention they give to detail in their furniture and organization. The food is one of the main features of charming facilities, offering traditional menus, local food and dishes. But in keeping with their philosophy of being very welcoming, they update and adapt to the needs of the individual, so you will find vegetarian menus, child-friendly menus, or a focus on allergies or intolerances. Charming facilities will make you feel at home. On www.charminly.com you can choose the destination of your holiday and stay in a charming Hotel on a farm or in a B&B, depending on your preference keeping in mind a price range that is best suited to you. Each of the proposed facility is surrounded by beautifully sited attractions, such as festivals, fairs, exhibitions and historical events. You will have an overview of the food and wine culture prevalent in the area with all the dishes offered. Finally, you will have a broad description of the city and surrounding villages or visit the natural landscapes and excursions available. Staying in a Country House Hotel means a stay in a unique and timely place to unwind and splurge in the ambience of nature and beauty. Seek refuge in these beautiful places and discover new angles every time to visit. This is truly a great blog thanks for sharing. Excellent and decent post. I found this much informative, as to what I was exactly searching for. Thanks for such post and please keep it up. Custom essay writing service helps students to write outstanding essays within the given deadline. Next Next post: Select Quality Iphone 6 parts and Accessories!